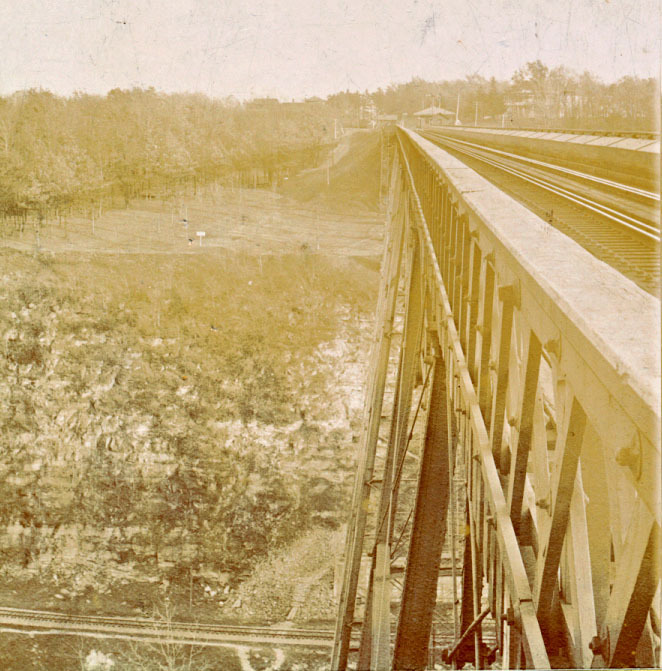 When the photographer took this photograph looking east along the Portage Iron Bridge, he captured some interesting details. On the enlargement below, you can see a cleared area north of the bridge. The small white sign is the same one visible in Image 139. This is the area once known as "Portage Park" or "Portage Bridge Park". A 1902 map shows dance pavilion in the area. This area, along with the nearby Cascade House behind trees in the upper right had corner, was the scene of the annual Soldier's Picnic. 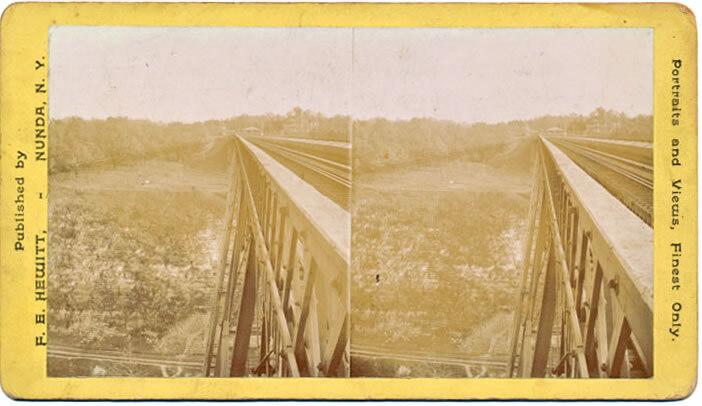 The view also provides an interesting look at the north side of the Portage Bridge and the "Pennsy" tracks seen at the bottom on the cliff.